Travelling through winding roads and lush green valleys, tea estates situated on the slopes and banks of the hills, with tiny streams and water falls and the beautiful misty mountains , one can arrive at Nuwara Eliya town which offers you everything, as any other town does and more. Its unique climate, and often covered with an early morning mist and the cold tangy air and its fresh and invigorating atmosphere offers a typical English environment. Nuwara Eliya, which is situated among some of the most beautiful tea estates also has the Golf course, race Course, horses, Rose gardens and British style houses which all add up to a perfect vacation retreat, offering a level of perfection without equal. Many locals visit Nuwara Eliya during April/May which are the warmest months when Colombo’s elite seek the relief of its cooling invigorating climate. Most British visitors feel that they are in England when they visit Nuwara Eliya. In fact all foreign visitors to Sri Lanka always make it a point to visit Nuwara Eliya to enjoy its ‘Home away from Home” feeling. Hence the name “Little England” which is a name given by many foreign visitors. The pink brick Victorian Post office is a sure reminder of the British era. The Golf course, which is one of the best in Sri Lanka, blends well with the surrounding tea plantations on one side and the fauna, flora and tiny streams on the other side, running in between these plantations. At Nuwara Eliya one can enjoy the best fresh vegetables. Nuwara Eliya is a well planned town and still retains its English style. One can take a leisurely walk around beautiful Lake Gregory and enjoy stunning scenery and panoramic vistas, with rugged mountains outlined against clear blue skies making a breathtaking back drop. Visitors can see many water falls too in and around Nuwara Eliya. During the time of the British, Nuwara Eliya (meaning city of light) was the favored cool climate escape of the then English and Scottish planters and also the elite of Colombo during the months of April. However, the class difference has somewhat receded in Sri Lanka society and in April everybody, irrespective of the so called elite class converge on Nuwara Eliya to enjoy the cool climate, the festive air, the many fresh vegetables and fruits on sale and the entertainment organized by the authorities for all ages. During the season and even off season when one enters Nuwara Eliya a very unique sight that can be seen is that almost everybody wears a cap and warm jersey which signifies the cold climate of Nuwara Eliya. Jerseys and caps are an essential part of clothing of the population of Nuwara Eliya and even visitors, wear them to ward off the cool breeze that blow from the hills beyond, which gives that tangy crispy cold which everybody enjoys and which only Nuwara Eliya can give to the visitor. Highlight of the Nuwara Eliya season is the Nuwara Eliya horse races which takes the air of Ascot in England, with ladies dressed in the British styles of hats and umbrellas to match, and parade the race course. Enjoy the hospitality and the smiling faces of the people of Nuwara Eliya. Unique feature is everybody wears some sort of warm clothing while the men have a cap or a wrap round cap on their heads. Belonging to diverse races and religions, the people of Nuwara Eliya is a mixture and blend of the Eastern and the Western cultures, the old and the new. Most popular season is from March to May and August to September when people flock to Nuwara Eliya in search of a cool climate and fun. During the season many fast food stalls line the streets, women strut along the streets fashionably dressed, and many fun events are organized by the authorities to suit all ages and groups. 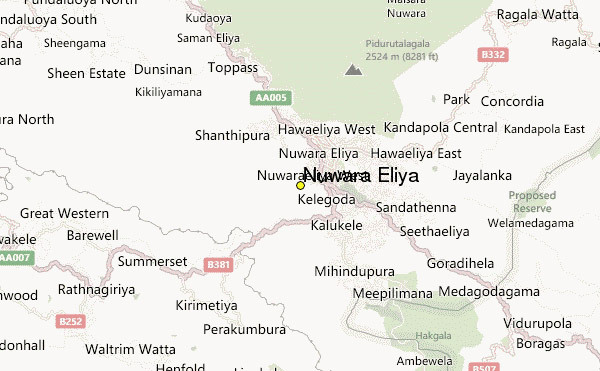 Surrounded by hills and mountains Nuwara Eliya is a valley nestling among them. Originally there were no trees and it was a Patana. Famous for its cool English climate and rich soil which helps in the tea plantations, Nuwara Eliya has many water falls and streams and boasts of rare fauna and flora. Made up of a diverse culture, Nuwara Eliya has a mixed culture from the elite British culture, where people go about in caps and jerseys and fashionably dressed to the migrant labour force, who have their own culture which is a blend of the Indian and Sri Lankan cultures, ranging from colourful Hindu kovils to women dressed in colourful saris. The Nuwara Eliya town, was planned by the British, in keeping with the patterns of their own mother land and declared it as a town in the year 1828. 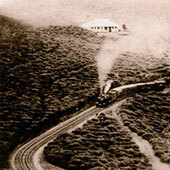 Aftermath of the Uva Wellassa Battle, the British stabilized themselves at Kothmale.While on their habitual hunting sprees they set foot on Nuwara Eliya known as Patan which was barren and had black soil, treated them with the familiar cool English climate. Take the Colombo /Badulla train Udarata Menike, where the train winds itself through hills and valleys and tunnels and enjoy the beautiful scenery with water falls cascading. By Road via Hatton and Thalawakele or from Badulla via Welimada and Bandarawela to Nuwara Eliya. Many roads originating from all over the island are linked to each other, so that you can reach Nuwara Eliya through any of these networks.